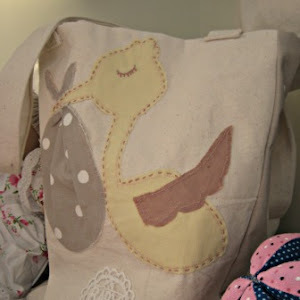 So earlier on in the Spring I hosted a blogger meet with the Krafty Kat and the girls at Sew Essential. In the afternoon we made embroidery hoop art using templates, linen fabrics and stitched with gorgeous fabrics from the Sew Essential shop. That was a few months ago and I've been hooked on the hoops every since. 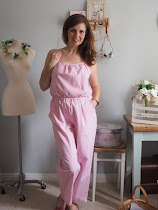 This post is how I add more than just embroidery into my embroidery hoops and some basics tips to get you started...it's addictive and perfect to pop in your bag for crafting on the go! For this project, I started with a wooden embroidery hoop with a gold fastening and square piece of plain linen fabric about 5 to 7.5cm (2-3in) larger than my hoop. Firstly, put your hoop on your fabric and work out where you want your template. Prym do some fab plastic templates which you can trace around with a fabric pencil or felt tip. I always move my hoop around my fabric when stitching to a natural position where I can hold it. When you put your fabric in the hoop pull your fabric in your hoop tight as poss, a little bit like a drum so you don't end up with baggy stitching on your final piece. I started with a basic back stitch using just two threads of embroidery thread. I love to use a gold eye needle for all my work as it means that you get less fluff on your fabric off the embroidery threads. I cut a piece of thread about the length of a small ruler and divide the six strands down to just two. Once you have stitched around the edge start 'colouring in' the middle again using two strands of embroidery thread and using a long and short stitch on a 45 degree angel. This may take a few hours, but it's perfect if you are on a train on whilst a baby is sleeping or if you just want to out your feet up on a rainy day! I have to admit about half way through my stitching, I like to have a break and think of how I can add more to my final piece. It's a nice break. I've started to layout out everything, like EVERYTHING! 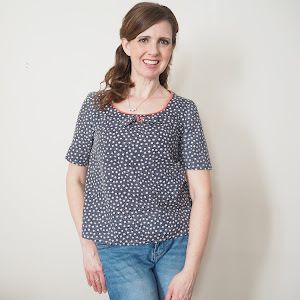 I want to use and then start to pull out the fabrics or trims that would look great. I then narrow down what I want and start to cut the fabrics and the trims up to add to my embroidery. When I've stitched up my letter, I can then start to stitch on my fabrics and bows. This is the fun part, I recommend the more is less option and layer up the trims little by little. I started with the sheer fabrics as a base to build on and then added the pearls and beads. Throughout the project I used a variety of small and large hoops for my work and swapped between the tow. It just made it quicker to stitch. I love the colours and textures you can create. The project took about 4 hours to complete and all the materials (except the vintage fabrics are available from Sew Essential's shop. Just popping by to share some of my photos from our little break for a impromptu family Wedding in Rye. Rye is nearly four hours away from Derbyshire, so last week we took another holiday (our second in a month) to celebrate my brother's Wedding. Rye was scattered with quirky little houses, cobbled streets and cafes. Here's a few snaps for my trip and a few of my brother's beautiful Wedding location. Yes, I make my own outfit and craft some lovely things. More to follow.. Taking time out to re-charge Cornish style and a visit to the lovely Poppy Treffry's store. I'm so excited to be writing again after a little break by the sea and a chance to soak up seaside life. Living literally in the middle of the UK makes you want for the sand, sea and time with the family winding down by the coast. 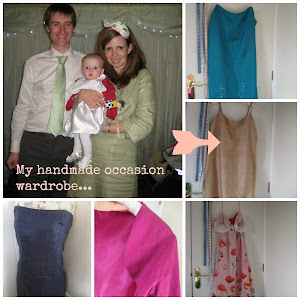 Today is a travel blogger style post but hey...I've added a little crafty bit here too! Here are a few pictures I took with my Olympen Pen E after learning a lot from Emily Quinton on the Makelight course. One of the highlights of my trip was a visit to the Poppy Treffry store in St.Ives. I love her pretty Cornish life inspired fabric prints, quirky cards and her orange lip balm is just gorgeous (oh it has a Singer sewing machine on the lid, so what's not to like?). I love that Poppy and her team of sewers hand make all the items in the store on vintage Singer sewing machines, similar to the ones I use at my Crafternoons. This trip I picked up a stash of cards for the sewing ladies in my life. Would you love to receive this card on your birthday? I can't wait to pop down to Cornwall again to get my fix of Cornish life and pretty sewing supplies. We stayed at The Old Dairy, Godolphin Cross Nr. Helston , a very family friendly self catering stay. Our Little L loved feeding the hens and pigs, it was very quiet with a short walk to the National Trust's Godolphin Estate. I'm now ready for a wonderful Summer of Crafternoons!